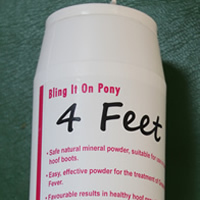 Safe, natural mineral powder, suitable for use in conjunction with hoof boots. Helps prevent bacterial or fungal spores. Easy, effective treatment of greasy heel, thrush, bacterial infection of the sole. Favourable results in healthy hoof growth after laminitis and fungal issues. Don’t give up on seedy toe, it will only get worse. Why not try some ‘Black Healer’? Instructions for use below. 370 gm pack NOW STRONGER AND MORE CONCENTRATED. This particular blend of tea has been used very successfully for acute laminitic cases. Approximately 14 feeds per bag for 500 kg horse and 28 for a pony. Premium quality, High purity, low impurity Magnesium Chloride. The Tibetan Plateau is 3200 mtrs above sea level in an untamed land isolated from pollutants and contaminants. Equal to anything else in the world. 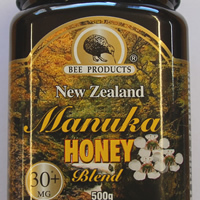 Manuka Honey is safe to use on any type of tissue, it has natural antibacterial, antimicrobial, antiviral, antioxidant, antiseptic, anti-inflammatory and antibacterial properties. RAPIDLY ARREST OUTBREAKS OF INVASIVE MICROORGANISMS!! 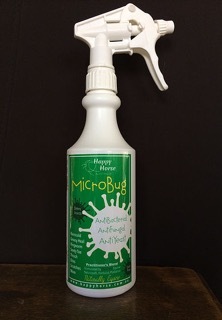 A natural antibacterial spray with the unique ability to DRY and SOOTHE affected areas. This Fine grade MSM comes in a 1 kg packet and is 99.96%pure. A natural barrier cream formulated in a protective zinc and beeswax base with powerful skin healing herbs. SkinBalm not only smells gorgeous, it helps minimise the formation of fibrous scar tissue, soothes raw, sensitive skin, supports development of vulnerable new tissue and encourages hair regrowth. GutzBusta hay nets are made from strong and durable 48ply and 60ply UV stabilized, pre-stretched, polyethylene netting and are the most generous sized hay nets on the Australian market which makes them easy to use, easy to fill and long lasting. Main picture, 4cm 60 ply. Gallery picture 3 cm 48 ply.